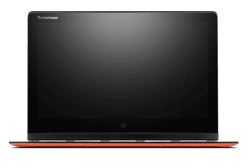 Lenovo YOGA 3 Pro 13.3" Ultra HD Laptop Intel Core M 5Y70 8GB 256GB SSD. 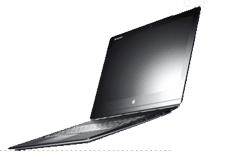 Brand new Sealed Unit, Official UK Stock, 1 Year Warranty Direct With Lenovo. Special Offer Laptop Comes with BullGuard Antivirus & SkullCandy HeadPhone Note : Comes in Orange Colour, Images and Videos are only for illustration purposes only. Please refer to technical specs for exact model and details. 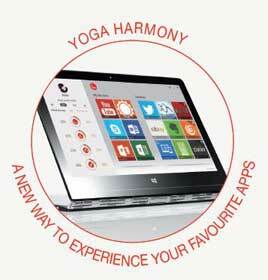 Enjoy new ways of using your laptop with Lenovo Yoga 3 Pro. 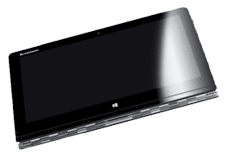 It is one of the worlds most adaptable laptop which lets you change its mode according to your requirement. Lenovo Yoga 3 Pro enjoys the status of being worlds slimmest convertible notebook. Using the low-power Intel Core M Processor, it gives you high performance with affordability. This exceptionally thin and light laptop packs all the latest features and software that responds to your needs and works the way you want it to. Whether you use it for work or play this amazing ultra-portable laptops give you optimum experience in both.